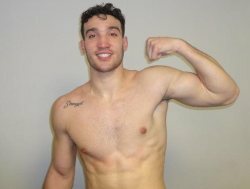 NEW YORK (February 11, 2019)-Heavyweight Sonny Conto made a successful pro debut as he took out Jimmie Levins in the first round this past Friday night at 2300 Arena in Conto's hometown of Philadelphia. "Getting that 1st one out of the way is important. My father told me that this is my professional debut, but this is noting new. I have been doing this since I was 10 years-old. The hometown crowd was amazing, and it was a great opportunity. I can't wait until the next one," said Conto.